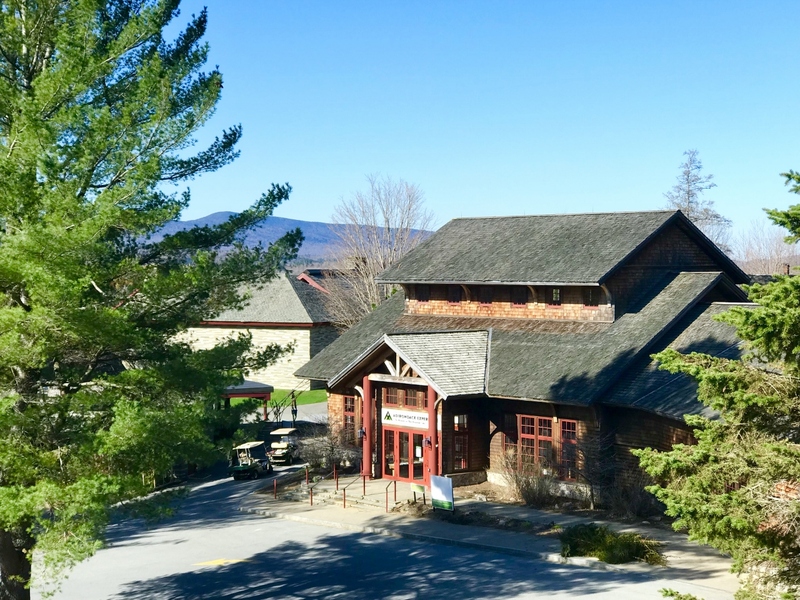 BLUE MOUNTAIN LAKE, NY… Adirondack Experience, The Museum on Blue Mountain Lake (ADKX) is celebrating its 61st season with the new interactive exhibition exploring the spirit, history, culture, and people of the Adirondack region. Life in the Adirondacks is the largest permanent exhibition on ADKX’s stunning 121-acre campus. The immersive installation combines authentic objects from ADKX’s collections—including guide boats, vintage railway cars, and a aturalist’s cabin—and interpretative materials with leading-edge digital technologies and hands-on activities. ADKX is located in Adirondack Park, the largest protected natural area in the contiguous 48 states, comprising six million acres (one fifth of New York State) of forested mountains, pristine waterways, and 105 towns and villages. The new 19,000-square-foot installation, featuring over 300 artifacts, was five years in the making with the help of experts in museum design. The rich history of the Adirondacks is revealed through the stories of people who were drawn to the region, how it shaped those who came, and how it was shaped by them. Voices from indigenous Abenaki and Mohawk communities are a key part of the narrative. The installation also explores the natural splendor of the area, conservation efforts, recreational opportunities, and regional industries. “Life in the Adirondacks” continues ADKX’s proud tradition of our cutting-edge visitor engagement program established by the museum’s founder, Harold K. Hochschild, six decades ago,” said ADKX Executive Director David M. Kahn. “Just as we embraced modern devices available in the 1950s, the new installation provides visitors of all ages with the latest technologies and tools to enjoy a fully immersive, multi-faceted experience of the Adirondacks. Visitors may continue their indoor/outdoor journey ofdiscovery at our other thematic exhibitions, on nature walks, and by participating in our diversity of programs.” Life in the Adirondacks begins with a video in the Wilderness Stories Theater, introducing visitors to the beauty of Adirondack Park and themes explored throughout the installation. “Call of the Wilderness” presents the wide variety of individuals, past and present, who came to the Adirondacks including Verplanck Colvin, who oversaw the first reliable survey of the region in the 19th century; Theodore Roosevelt, who learned he’d become the 26th President while vacationing in the Park in 1901; conservationist and outdoorsman Clarence Petty; and American artist Frank Owen. Canoes, stage coaches, a train car, a station wagon, and snow mobile are on display and visitors may tour a private railroad station and Pullman car, with audio soundscapes, that once transported millionaires with L&N Railroad executives like August Belmont, Austin Carin, and Henry Walters. Visitors can also sit in a real guide boat, learn to row it, and virtually glide across an Adirondack lake. For the first time in the Museum’s history, the habitation of Mohawk and Abenaki people within the Adirondacks is explored. “A Peopled Wilderness” uses artifacts, video interviews, music, a language-learning station, and stories of contemporary indigenous people. This section was produced by ADKX in collaboration with the Akwesasne Cultural Center and the Abenaki Cultural Preservation Corporation. One of the iconic features of the Adirondacks is the Great Camps built at the turn of the 20th century for wealthy urban vacationers looking for a wilderness experience but with modern comforts. “Roughing It” features the stories of those who instead came to settle or escape urban plagues like tuberculosis. The log cabin of Anne LaBastille, an author and naturalist who championed the pioneering life for women, is on display. Using its expansive collection of artifacts related to outdoor work (including a snow roller, ice saw, and jam boat), the ADKX presents the stories of Adirondackers working in the wilderness in “Adirondack Tough.” Among the occupations examined are historic underground iron mining and today’s open-pit garnet mining. An interactive activity allows visitors to virtually break up a log jam and understand first-hand how treacherous it was to be a lumberjack in the late 19th century. Work like maple sugaring and ice harvesting are also represented. A section on the history of Adirondack Park features a giant walk-on map of the region. A multi-screened media experience gives voice to the many different perspectives of people who live, work, and visit the Adirondacks today including those employed in forest management, water quality, and protecting the natural environment. For additional information, call 518-352-7311 or visit www.theADKX.org.